There is a continuity that flows through humanity from one culture to the other; a link that rises far above individual nations, cultures, or ethnic groups. That connection is that we are all are created by a God that loves us and has placed within us His image. This sense of connectedness should be all that more recognized by those of us that claim the name of Jesus. Adding to this, if we are a child of the King we have within us a Spirit driven desire to see Christ glorified and His kingdom extended. We have before us a great opportunity to touch lives in the name of Christ. 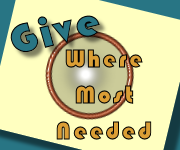 Whether that is through encouraging and strengthening a pastor in their call by the RSMI Adopt-A-Pastor Program or changing the life of a child through the RSMI One Child at a Time Program. 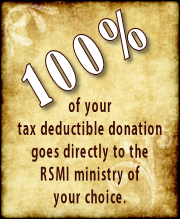 These two flagship RSMI initiatives depend on people like you and through your sponsorship of our pastors and children. Won’t you help us make a difference by changing a life that they in turn might change countless other lives?